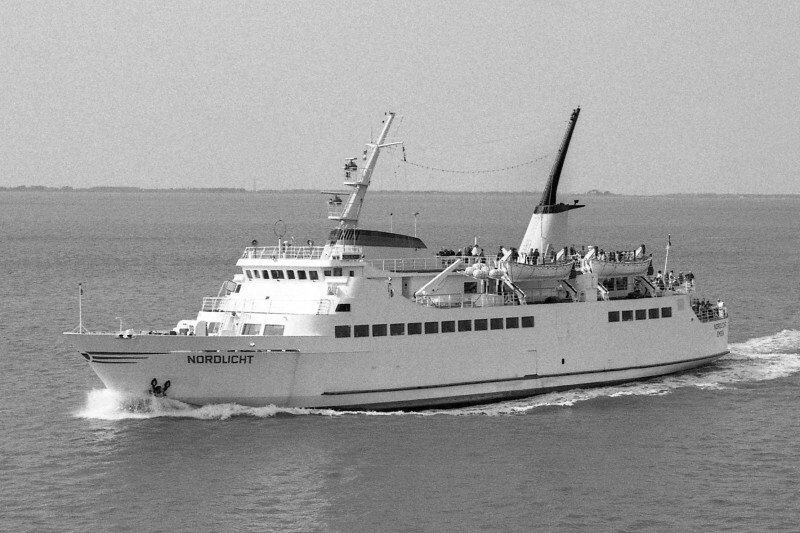 German pass/ferry NORDLICHT is here seen on the Ems River in september 1981. Built at Sietas in 1973, she was intended to sail in the Southern Baltic between Neustadt and Bornholm. After a few years she was sold and started with sailings in the Ems area. In 1985 she was sold to Tahiti and renamed RAROMATAI-FERRY. In june 2001 she was scuttled in French Polynesia. I agree, the style of this ferry is beautiful. It seems still very actual. I love this art of construction. Beautiful ship.